Real estate investing is a staple for Canadians. Whether it’s owning your own home, buying a publicly listed REIT or buying and renting a condo unit, Canadians are obsessed with investing in real, tangible assets they can see and touch. That makes sense. However, there is a limited amount of real estate that can be developed and sold at once. So applying economics 101 to a market driven by limited supply and growing demand results in higher long-run prices. The question then turns to what real estate investments offer the best return potential. For an answer, we should look at where professional real estate investors and developers invest their capital. CBRE forecasts there will be more than $23 billion worth of commercial real estate transactions in Canada this year. We can easily assume that will consist of thousands of transactions. Based on our analysis of several developments, return on equity investments for private commercial real estate development opportunities in Canada typically range between 15 to 25 per cent annually when led by professional institutional developers. How many of these transactions do most individual investors have access to, however? Probably very few, if any. So how can individual investors access these projects to generate these returns? Historically, this market has been closed off to individuals, even to accredited investors. These projects are almost completely exclusive to institutional investors and ultra-high net worth individuals who are well-connected. To access any of these deals, an individual investor typically must write a cheque of at least $150,000 and, most times, significantly higher. These capital restrictions along with their lack of relationships and awareness limit individuals’ ability to participate in these unique and lucrative commercial investments. The advent of online crowdfunding models has changed things. Now, accredited investors can access commercial real estate developments for as little as $10,000. Plus, individuals now have the opportunity to invest in confidence alongside professional institutions who will handle the management and due diligence of formerly inaccessible real estate investments. Harnessing the power of the crowd, individual investors all around the world can now be aggregated to create one large investment. Before this model, institutional developers shied away from raising small amounts of capital from individuals due to prohibitively high marketing costs and the administrative burden. Another problem was regulators imposed heavy restrictions on how money could be raised and who it could be raised from. Now institutional developers are able to access a new source of capital in a streamlined, “frictionless” way – without the inefficiencies and administrative burden of dealing with several individual investors. Individuals now also benefit from greater access to exclusive real estate investment opportunities at a more reasonable minimum investment amount. Furthermore, not only do individuals gain access to a new type of investment, they are also able to invest alongside institutional investors and developers with multiple years of experience, established track records and developed reporting mechanisms. These factors mitigate significant risk for investors while providing above-average returns. With the increasing volatility of the stock market today, investors in Canada – and indeed worldwide – are seeking ways to diversify risk away from the uncertainty of public markets. This article was contributed by Hitesh Rathod, CEO of NexusCrowd. 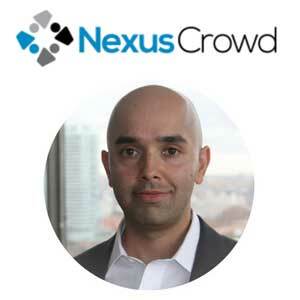 At NexusCrowd he is is responsible for ensuring that the crowdfunding platform provides both investors and institutional partners with a unique value proposition. His current focus is on educating investors about the NexusCrowd platform and building relationships with the right institutional partners to provide investors with exclusive private investment opportunities. He can be contacted at hitesh.rathod@nexuscrowd.com.